So, I did do a post already this week about Christian artist birthday, but I just wanted share two more birthdays. Mandisa and Michael W. Smith. I’m going to start with Michael W. Smith just because he is my favorite male solo singer. I want to meet him sooo much!!! He is absolutely AMAZING!!!!! Michael W. Smith will turn 57 on Wednesday, October 7th. Happy birthday, MWS! I just love this picture of MWS and Amy Grant. I love both of them! Now, I usually only post one video for each artist, but I want to share my two favorite songs from MWS. I seriously don’t know which one I love better! I put the first one together for the Giuliani family before they moved away to Chicago. The second is my other favorite song, “Christ Be All Around Me”. Enjoy! 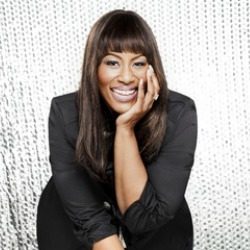 Next, Mandisa is a very fun recording artist to listen to. Her music is very catchy and you just want to hop up and sing along! One of my favorite songs by Mandisa is “Good Morning”. (My brother, Jacob hates this song). My sister Bethany loves her song, “Overcomer” too. Mandisa turned 39 yesterday, October 2nd. Here is a picture and her song, “Good Morning”.